Its just down from the campers kitchen / pool area at the Buronga Riverside Caravan Park where I’m staying – one of the best, if not THE best, of the trip so far. Across the river (a bumpy 3.5km cycle on a terrible path over the Chaffey Bridge running alongside the main highway linking Adelaide to Sydney) is the city centre of Mildura. I really like Mildura so far. It has a vibrant and energetic city centre, good community facilities, a thriving arts and events scene (jazz, wine and food in two weeks time! 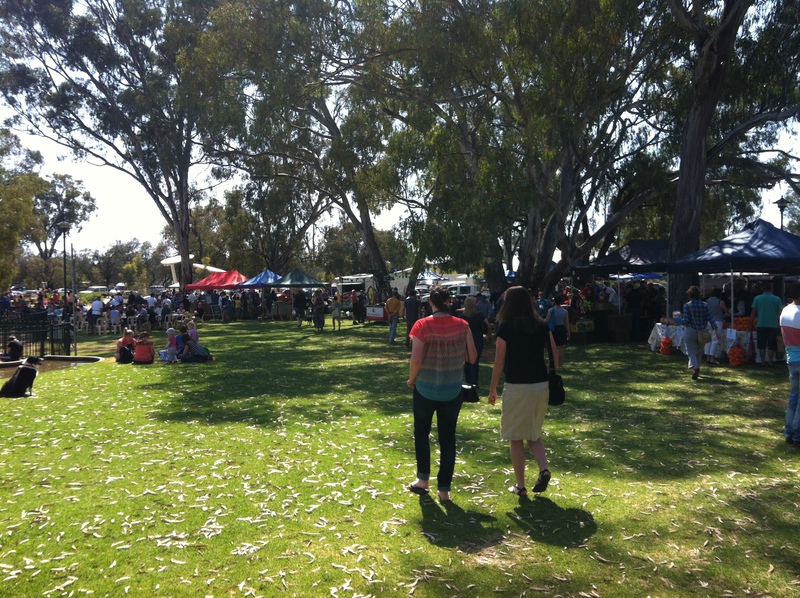 ), interesting history, beautiful parks and gardens, great local markets, fab brewery, wineries, and of course – the mighty Murray. It’s not a place I remotely planned to come to. But as the old saying goes, “everything happens for a reason”. And right now I’m really enjoying getting to know this place. It feels like Australia 101. Being Western Australian, I’ve never fully understood all the hoo-ha about the Murray-Darling Basin – the issues over the long drought and the Basin Plan etc. As a person who tries to keep up with the news, I have certainly been aware it’s a big deal for a large chunk of the country, and now I see why. A place like Mildura and the surrounding communities, including those in the Riverland of South Australia, simply wouldn’t exist without it. 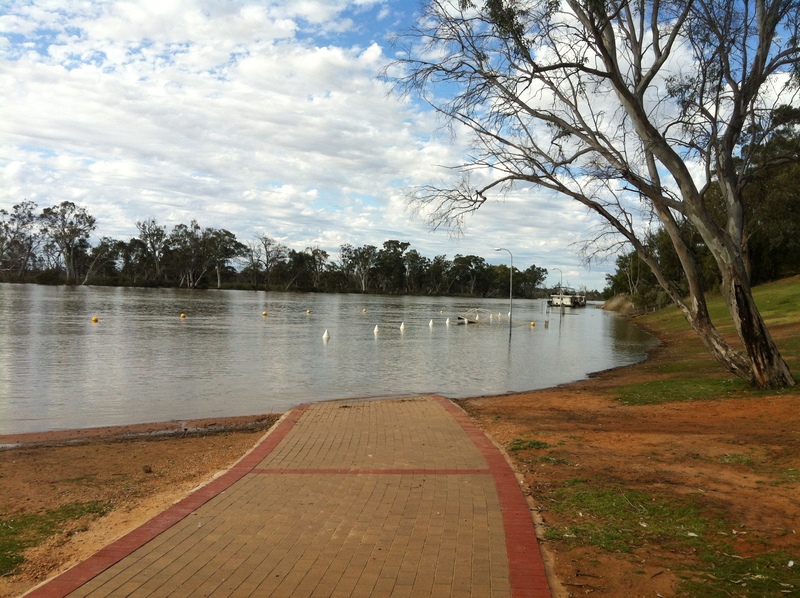 At Loxton – there’s a wharf under there! My first sight of the Murray – near Blanchetown as I drove from Adelaide to Loxton nearly two weeks ago – was awe-inspiring. I felt immediately the vast scale of the river and how it can dominate the consciousness of this part of the country, just from that initial bridge crossing. The high red sandstone cliffs on the western bank dwarfed a forests-worth of many huge, dead red river gums – extending as far as I could see north from the bridge. It was a stark reminder of the decade of drought that brought the communities of the whole Murray-Darling Basin to their knees. That drought has only broken in the past two years and river levels have returned back to normal – in fact in Loxton the river was in flood – but there are scars that will never heal. Today I visited Wentworth – an historic port town at the point where the Murray and Darling Rivers converge. It was once the busiest inland port in Australia, in the great days of river transport late 19th century. I had thought the Murray was a muddy old thing – where I stay, it only really looks appealing towards the end of a sunny day and at the right angle. But the Darling is even more so! 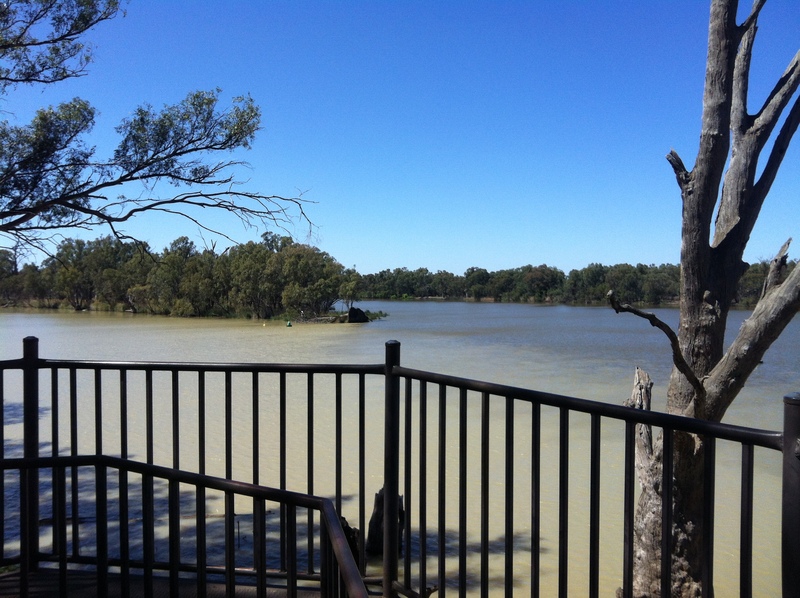 You can clearly see in this photo the convergence point – toward the right the darker blue/gray of the Murray, in the foreground the murky Darling enters from the left. It was a powerful experience, to stand at that point having heard so much about the Murray-Darling Basin since I returned to Australia in 2005. Every creek, stream and river flowing west of the Great Dividing Range ends up in either the Darling or the Murray and therefore of course finds its way to this point. These two rivers are the longest in Australia, and their journey to this point has already been immense – but still they have many hundreds of kilometres to travel before reaching the sea just beyond The Coorong in South Australia. The Murray-Darling Basin is the fourth largest catchment area in the world, draining one seventh of the Australian landmass, but carries a low volume of water compared to river systems of comparable size elsewhere in the world. The Basin contains over 40% of all Australian farms. I heard on talkback radio a little while ago a suggestion that really the people deciding on how to manage the Murray-Darling should be experts in the field but drawn from WA, NT, Tasmania – the states and territory that don’t have any stake in the Basin. That way they could more objectively look at the water allocations and ensure that all science, and the environmental/business/social factors are equally considered without the influence of state bias. That makes a lot of sense to me. But I can’t see it ever happening. For one thing this country is way too heavily biased towards NSW and Victoria for neither of them to get a say, especially considering that the vast majority of both states sits within the basin; and more importantly I suspect it is just too vital a question for all of the communities that depend so much on these mighty rivers to sit back to and trust the judgement of outsiders. Like all the big issues, it’s just so complicated and so immense in its implications – not just for these communities, but for all of Australia that relies on the produce of this massive food bowl. Sometimes I wonder how they’ll ever reach agreement. 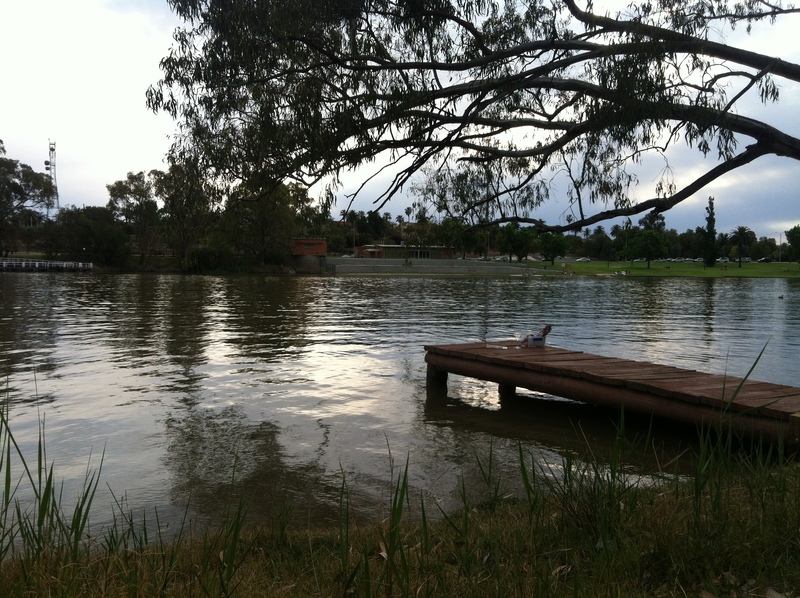 This entry was posted in Uncategorized and tagged Mildura, Murray River, Murray-Darling Basin, Wentworth. Bookmark the permalink.